I am often contacted by vendors wanting to sell their wares on the Henry Milker website. Everything from goat halters to goat lice control. I am very picky about partners and co-products but have been seriously considering the sale of goat milk handmade soap and am currently talking with the good folks from Maple Ridge Soaps & Sundries. A great deal of experience and love go into each bar of Maple Ridge homemade soaps. 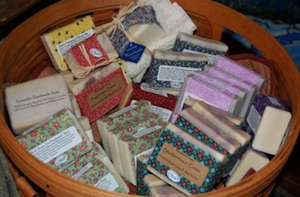 Their soaps are made with goat milk (removed from the goats with the Henry Milker of course! ), fresh dairy cream, herbally infused olive oil, organic coconut and palm oils. That's not all, Maple Ridge soaps also contain a generous amount of cocoa butter & organic shea butter. 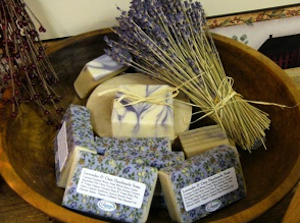 Jojoba, sweet almond, avocado and other nutritive oils are used in all of their soaps. Infusing the olive oil in every bar of our soap with herbs such as calendula, lavender, chamomile, alfalfa and plantain is one of the secrets to a truly luxurious bar of soap. Maple Ridge says, "Our soaps are truly Good Food For Your Skin because it not only cleanses your skin, but nourishes as well". This is much easier than making your own goat soap. Maple Ridge knows how to make goat soap! I own my own goats... milk them when they are in milk (with my Henry Milker) and have not yet had enough "extra" to make soap... I would LOVE to try some... off to send you my address! !